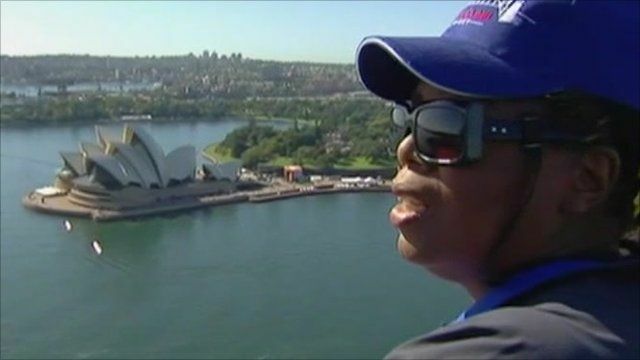 The US talk show host, Oprah Winfrey, has travelled to Australia for two shows that will form part of her final series. The star and 300 audience members are there for a week-long trip that has been funded by government-owned Tourism Australia. It is hoped the exposure will boost the country's struggling tourism industry. Nick Bryant reports from Sydney.